We didn't have a supportive environment to develop essential life skills so we had to develop by ourselves. However, we are thankful to be in the countryside where we were closed to the environment that helps us to be open to learn and develop. We don't want our future generation need to experience the similar disadvantages. We have desire to provide children a practical learning environment where they can develop their love with environment as well as essential skills to succeed in the modern age. We believe to support children the best, parents are the most important actors. We then provide a program with practical learning activities for children and informative showroom for parents. Providing children a practical fun learning day by researching and making natural products such as no toxic toothpaste resulting in raising awareness about the environment and essential skills in the industrial 4.0 communication public speaking, collaboration, creativity and critical thinking. Provide visitors an informative environment where they can learn about the current problems of human health and existing solutions for a green life. WHAT DO YOU GAIN AS A PARTICIPANT? WHAT DO YOU GAIN AS A SPONSOR? Our two co-founders Quang Thu and Quynh Anh are talented excellent students at the age of 14 and have invented the no toxic toothpaste and have worked on producing more natural environmental friendly products! Our founder - Jen Vuhuong - has also studied personal and leadership development over the last decade and experienced the development journey by herself that has helped her obtain different achievements: awarding 3 top world scholarships, awarding the best performer in International organisations like Samsung and Dell partner; obtaining the best performance prize in 2 Masters degrees, and publishing 5 books in personal and leadership development area. Jen also is the winner of International Public speaking contest in the US Embassy, Vietnam and Malaysia and is an international speaker/trainer who has spoken in different workshops and conferences in more than 10 countries and conducted her own workshops at Vietnam, Malaysia, India, Spain, The UK. Jen is also a former education development manager for Vietnam Education Consultant, an advisor of Institute of Strategic Leadership and a trainer of EYI public speaking academy. Cannot wait to see you join us to reach your speaking and leadership potential! That’s what people always told me when they heard about my dream of studying abroad to open my mind and learn how to help people. But I was the most stubborn kid in my village. And I stubbornly believed ‘IMPOSSIBLE’ had a second better spelling: "I'M POSSIBLE.’ I was determined to live my life my way. I was a Vietnamese country kid who applied to University, won a scholarship to work Samsung in Vietnam and then Dell in Malaysia, won scholarships to study in Spain and the UK, and never quit my dream. Living and working with people from all walks of life, I have seen inspiring stories of people who have succeeded in life despite their backgrounds and circumstances. I realized they all shared a common characteristic: their empowering mindset and determined action to develop themselves and contribute to society. They all believed 'IMPOSSIBLE' was 'I'M POSSIBLE'. I am upset to see young people - especially in developing countries like Vietnam - limiting themselves by the social norm of life being just working a job and getting married to produce children. I am upset to see those potential leaders trapped in the same routines of every-day life. I am upset to see their passion for a better life limited by the numbers on their paycheck. This project therefore, is devoted to empower young people to unleash their potential and passion to be more and contribute more - to lead their lives and lead the world to be a better place. 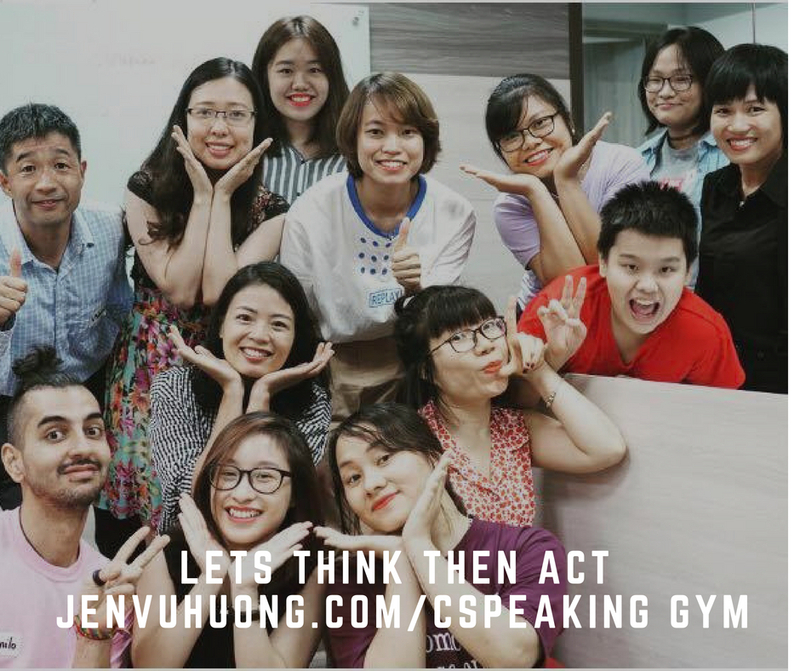 We are an organization based in Vietnam that functions as a community providing people-training on personal development and leadership development. We want to expand to other Asian countries such as Malaysia, Indonesia, China, Thailand or India and build (and maintain!) connections with western countries like the UK, the United States, Spain or Germany. We already have the experience, passion, and the network of people. We created this crowd-funding campaign to find the financial we need to translate our mission into real action to impact everyone's life. We believe in what we do and we want our friends to believe that they, through their contribution, will make a difference for young people all around the world. And with their help, it will not just be a belief. We will all make a change.